Happy Sunday y’all! Some of you guys may know this, but two goals on my fitness goals list were to 1. complete a 5k while running the entire time, and 2. to complete a 5k in under 30 minutes. These goals did not have to occur together, they just had to happen. Yesterday I participated in the Greenways 5k. Missy and the team (along with myself) shot off the starting gun and then I hopped in line and actually did the race too. The course was along one of my favorite places to run at so I was hoping to accomplish at least one goal. Well, guess what. I crossed the finish line in 30:44, barely missing my goal time, BUT I ran the whole entire time. Go me!! Also, I was second in the Athena division and 3rd in my age division. Yeah, I’m cool. After the race, I headed downtown to stuff marathon goody bags for about six hours. I met so many wonderful people, including a fellow blogger, Kim Emert. Kim will be running her very first half this Sunday and I could not be more proud. Go Kim! Such a great day overall and could not feel more blessed. Race day is offically one week away. Some of the team about to shoot the starting gun. 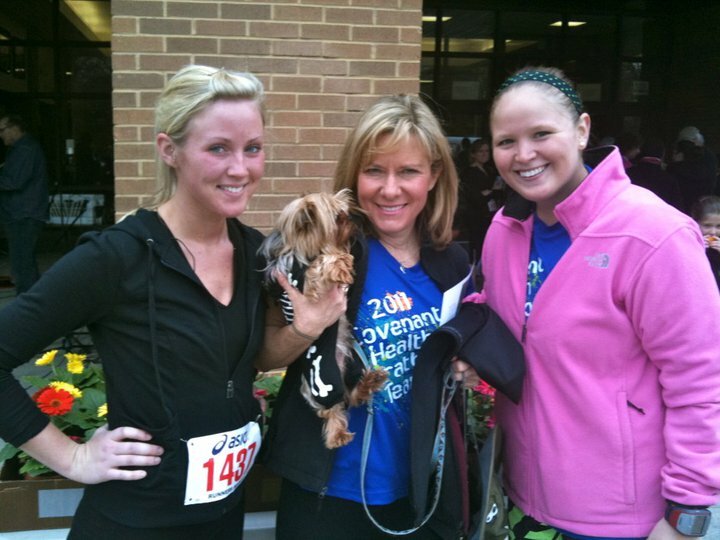 My friend Ashley, Missy Kane (with dog Rocky), and myself post race. Aw you are too sweet, Kelsey!! I am beyond thrilled to have met you in the flesh. Totally made my day and talking to you was just wonderful. So much in common and I love that too. 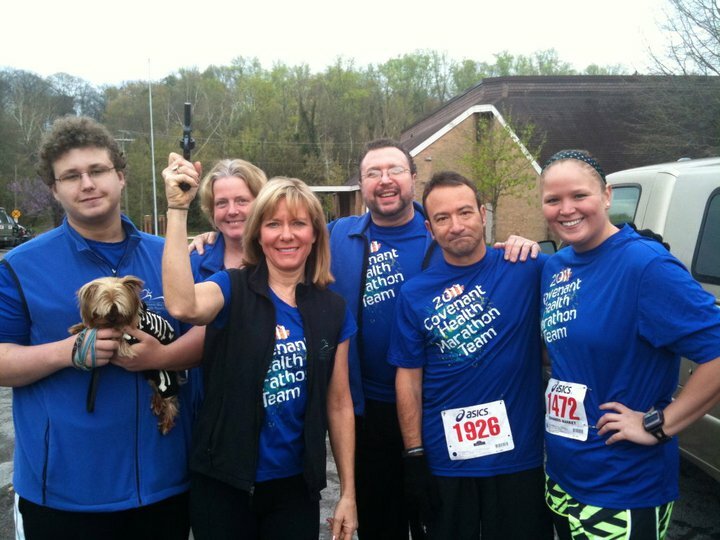 :)Way to go rockin' that 5k! I came home and told my hubby all about you and how proud I was of you. Your story is amazing and I know it won't be long before your next goal is accomplished!You've inspired me so much and I just have to tell you that after talking to you yesterday my excitement about the half marathon has been restored!Can't wait to see you on race day! Pictures for sure! Have a great week! !